Shop for the latest designer Wedding Salwar Kameez online at best price. BigBindi brings extensive collection of trendy salwar suits for women to turn on the charm. Salwar Kameez is the traditional Indian ethnic apparel that is sure to provide an eye-pleasing appearance to the women wearing it. Add the glam by pairing it with matching jewellery and accessories and you are sure to steal the limelight on your special occasion. Browse and shop for every kind of bridal wear salwar kameez online. The wedding is a very special occasion for every bride. Every woman spends a lot of time in search of the best attire for their wedding to look glamorous and attractive. According to the Indian tradition, lehenga, saree, and salwar kameez are the most popular costumes for a bride. Wedding salwar kameez are nowadays available in different and beautiful varieties. It also enhances the beauty of a woman. If you desire to look traditional yet brilliant then a wedding salwar suit can help you to get that look. Ladies are very conscious about their dresses and especially if they are selecting a costume for their wedding. So it is not easy to shop a wedding dress which looks fabulous on your body. Anarkali salwar kameez of georgette and net with full sleeves and bright colors are very fashionable and give you a fantastic look. Pakistani suit with little embroidery work looks perfect for a wedding. If you want something different then straight cut salwar kameez with stone work on the kurta and plain salwar with little lacework can define you nicely. If you are a simplicity lover then what better than a silk salwar kameez? It is easy to carry yet interesting to look. You can also carry crepe suit and chiffon suit with heavy embroidery. Achkan suit with embellishment work can turn out to be a perfect outfit for your wedding party. If you want to look like a star then you must prefer a Bollywood style salwar kameez or a designer suit. If you are tired of searching a wedding salwar kameez collection from different stores then no need to worry now. 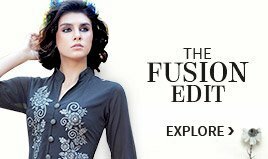 Sit at home and find the best and most suitable salwar kameez online of various fabrics including georgette suit, chiffon suit, art silk suit, Pakistani suit, palazzo suit, crepe suit and anarkali style suit. If you want to look modern and stylish then you can also find designer salwar kameez and a Bollywood style suit from BigBindi. 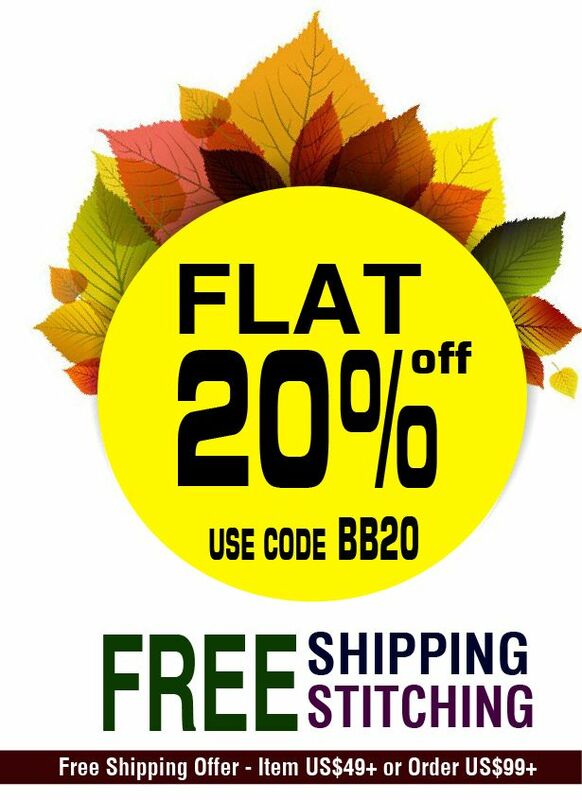 BigBindi not only provides you with a wonderful variety of fabrics and styles but with beautiful colors and works. You can get zari work, kundan work, mirror work, stonework, lacework, and etc. Select bright or light colors, whichever suits your skin from BigBindi at reasonable rates.